I recently met with my financial advisor and learned my portfolio was riskier than my wife’s. That’s always been the case; I have always been the one taking more risks. Sometimes the risks I take pay off; sometimes they don’t. My good lady wife is more risk-averse than me, it seems. She does not take many risks, save for marrying me in the first place. I wonder if that was one of the risks that paid off for her or not. Risk aversion was the subject of our latest podcast . People have different tolerances for risk. Sometimes their tolerance for risk is across the board, and sometimes it varies depending on the different domains of life. When we talk about risk aversion, we’re talking about how people like sure bets with smaller gains over risks of losing something that could yield more substantial benefits. People do not like to lose things. However, as always with science involving human behavior, there are many exceptions. Let’s examine some of these exceptions and the variables that change a person’s risk preferences. On the one hand, risk avoidance seems like something that would be healthy for the species. After all, if our forebears all walked off a cliff that wouldn’t be so great for all of us, would it? On the other hand, taken to the other extreme, if you get too risk-avoidant, you would never get out of bed in the morning. There’s this fascinating interplay between when we take risks and when we don’t. Consider entrepreneurship. It is riskier to start your own company versus working for an established company. Most new business ventures fail, and yet, people are still willing to do it. However, it’s good that people do risk it still. Large thriving companies come out of it, e.g., Apple, Tesla, and Amazon. There is a balance. A little risk is not bad, but if we’re too risky, that’s obviously a problem. People differ regarding risk preferences. In my anecdotal experience, risk preferences reveal themselves early. Some toddlers are cautious in how they approach the world, seeming afraid of new people and new experiences. Others have no fear at all. I was talking to my eldest daughter the other day about her daughter, my new granddaughter. I told her that people make mistakes and they learn from them. Her daughter is going to burn her hand occasionally. My daughter can try to wrap her up in cotton, but children don’t learn if they don’t make mistakes. One of my favorite things about risk aversion is understanding the things that change it. Let’s start with some obvious examples. #1: The presence of testosterone correlates with risk-taking. Researchers from the University of Queensland found that attractive women caused young men to take more risks. They went to a skate park where mostly teenage boys were riding skateboards and doing tricks. Researchers gauged the riskiness of the stunts the young men were trying. Then, researchers took cheek swabs from some of these boys to measure the boys’ testosterone levels. Next, the researchers planted an attractive teenage girl at the skatepark and noted two things. First, the riskiness of the stunts increased dramatically. Second, the levels of testosterone from their cheek swabs increase as well. Testosterone does not exist purely in men, of course; women are also affected by testosterone. Some women are every bit as risk-seeking as hormonal teenage boys. Also, some men w are very risk-averse. # 2: Losses versus gains can also change our risk tolerance our risk preferences. One of the first experiments that looked at this concept is by Kahneman and Tversky, the team credited with developing the field of behavioral economics. In the unfortunately-named “Asian Disease Problem,” Participants were to imagine the U.S. is preparing for the outbreak of an unusual Asian disease which is expected to kill 600 people. Program B: If approved, there is a one-third probability 600 people will be saved and a two-thirds probability that no one will be saved. Program C: If chosen, 400 people will die out of the 600. Program D: If selected, there’s a one-third probability that no one will die, and a two-thirds chance that 600 will die. The outcomes are identical of each set (meaning Programs A & B vs. Programs C & D), but one set is framed in terms of gains, and one set is framed in terms of losses. When it’s framed as a loss (Programs C & D) people prefer the risky option (Program D). People hate the sure loss that 400 people will die. People would instead go with the more dangerous option. Gambling behavior can be explained this way. The longer people are at the track, the more money people lose (because that’s the way gambling works, kids.) People don’t want to lock in their losses. The more they lose, the more risk they take to get it back. That means, later in the day, people take riskier bets—and lose more money! #3: Risk preferences change based on the domain. There’s some excitement in gambling and knowing that you’re playing the odds. So, you might gamble some of your money at the track. 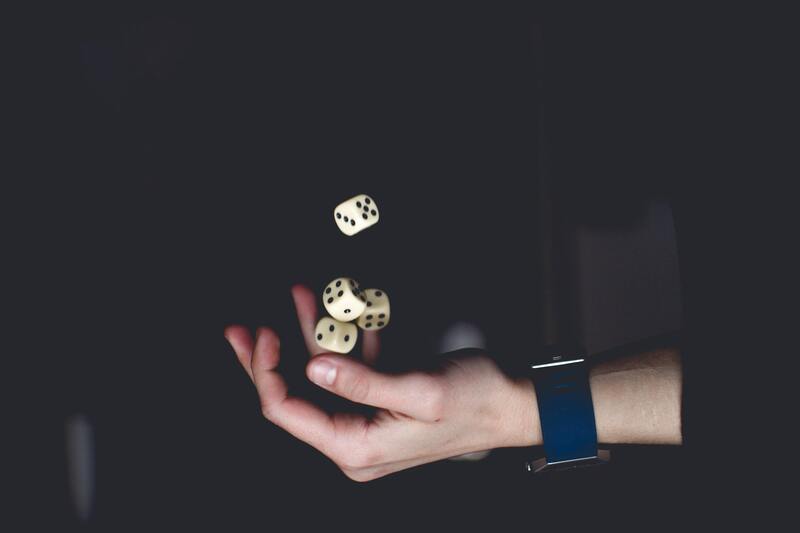 However, when it comes to taking a gamble that affects an asset like your house or the financial well-being of your descendants if you die, those risk preferences change. At least, I hope they do. #4: Age (and responsibility) affects risk preferences, too. Over your lifetime, there will be risks you are willing to take when you are younger that you would not be willing to consider when you are somewhat older. Risk has a lot to do with the company with which you choose to do business. I used to work for British Telecom (BT), and people came to BT because we were the most forward-thinking company in the world, but also because they knew that whenever something went wrong, we would fix it. You might have heard the phrase, “Nobody ever got sacked for buying IBM.” It was the same for BT. As an early adopter of technology, I can tell you that buying the latest tech can also be risky. The most significant is losing money—or time and effort— on a technology that isn’t worth it. Remember the Palm Pilot? I remember my Palm device back in the day, although I didn’t use it to pick up women on a train. One of the innovations was you could type a letter using only your palm. I must have spent bloody ages trying to work out a letter on my Palm. Looking back, that was a complete waste of time. That is an example of one of those risks I took on technology that didn’t work out. Risk aversion comes in other areas, too. Consider references. When hiring, companies often ask for references. Why? To reduce the chance of hiring the wrong person. People also check out references for a company, too, only in this case, the references are reviews. They don’t want to pay for it and discover it doesn’t do what it says it will or that the service is not that great. People read reviews to learn if the product is going to do what it says or even whether it is a service they want. Insurance is another example of risk preferences showing up in Customer Experience. We buy insurance because we are risk-averse when it comes to losing or replacing expensive items, like houses, boats, cars and the iPhone X. Loss aversion is also the root of customer complaints, especially when the customer thinks something was included, and it is not. The complaint communicates the customer’s perception of a loss when they did not get what they expected. So, what does this mean from a Customer Experience perspective? Customer personas  come in handy here. Do you have different personas who are more risk-tolerant and others who are more risk averse? If you know you are dealing with a risk-averse segment, can you manage the risk? Regarding practical takeaways, you could segment by risk preference. For example, let’s say you have a new product and three different customers: a 17-year-old, a middle-aged married customer with three kids and a big mortgage, and a recent retiree. These three people have different risk profiles, and you can pull that together in different customer personas. You must decide the type of customer your product or service addresses, risk-seeking or risk-averse? Then, target the appropriate customer personas with a message highlighting the features and benefits that appeal to those customers. Also, recognize that being the best may not be enough. You can be the best product or service in your sector, but other factors can interfere with your adoption rate (e.g., price, familiarity, technical requirements, etc.) The real victory here is to be the best in the market while also mitigating the customers’ risk of changing the current behavior in which they engage. Or, by providing the thrill that your risk-loving customers crave. Understanding risk aversion and loss aversion drives a lot of human behavior is crucial to Customer Experience. Different people have different levels of risk that they’re willing to take in different scenarios and in different times of life. Things like hormones, sure bets vs. risky gains, the setting, and the customer’s age all affect their level of risk-aversion. Your job is to recognize what type of customer you have and market to their preferences. After all, ignoring your customers’ risk preferences is risky business and not the kind that has you dancing around in your knickers.